There’s plenty to celebrate in 2018 – a truly royal year. The first great royal event for 2018 will be the birth of the Duke and Duchess of Cambridge’s third child in April. Prince George, born in 2013, and Princess Charlotte, born in 2015 were both born in St Mary’s Hospital in Paddington. In May the wedding of Prince Harry to former ‘Suits’ actress Meghan Markle will take place. The ceremony will be held on Saturday 19 May at 12 noon in St George’s Chapel at Windsor Castle. In addition to key members of the Royal Family, celebrity guests rumoured to attend include Serena Williams, David Beckham, James Blunt and the Spice Girls. 2,640 members of the public will be given access to the grounds for the royal wedding on 19 May, including charity workers, school children, royal household members and Windsor residents. 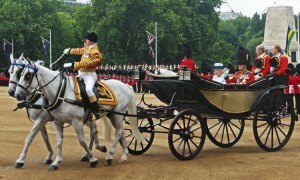 Following their vows at 1pm the newlyweds will proceed through Windsor in a carriage enabling residents and visitors to catch a glimpse of the married couple. 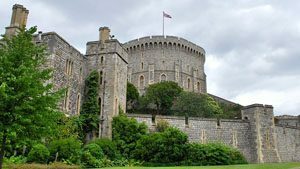 This procession will make its way from Windsor Castle via Castle Hill, along the High Street and through Windsor town and then make its return to Windsor Castle via the Long Walk. The wedding reception will take place at St George’s Hall and in the evening Prince Charles will host a private reception for close friends and family. 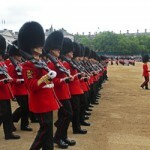 On 9 June the annual spectacle of Trooping the Colour will take place to celebrate the Queen’s birthday. 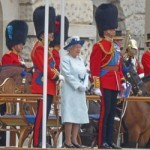 This year the Queen will turn 92! In October there will be another royal wedding 🙂 Princess Eugenie, daughter to Prince Andrew and Sarah Ferguson, and Jack Brooksbank will marry on Friday, October 12, in St George’s Chapel at Windsor Castle.